Spontaneity can now be found everywhere. This is a story about a bottle, how it crossed borders and exceeded expectations. No, we’re not speaking about the poetic message in the bottle. 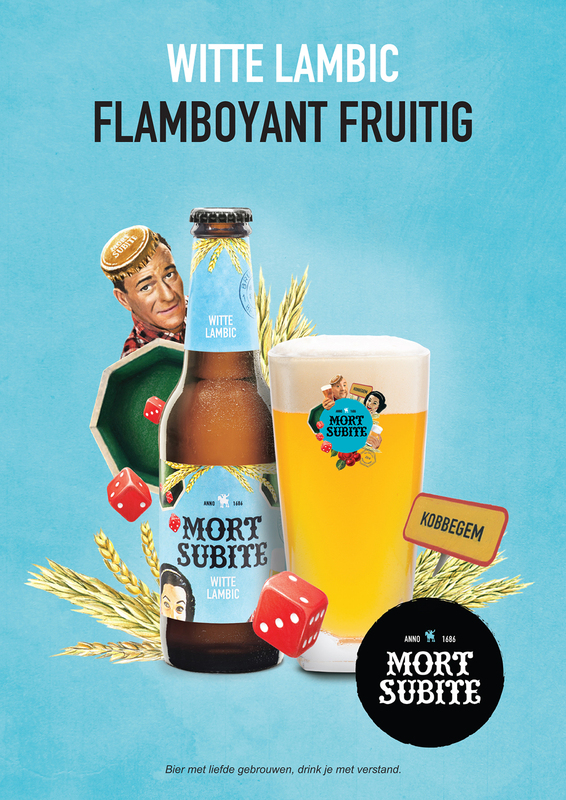 We will tell you about how Alken-Maes/Heineken and Bowling have been breathing a new life in the Mort Subite brand. Mort Subite was a lively beer behind a dull label. For years only those in the know new about its virtues. That’s why Alken-Maes/Heineken came knocking to redesign the bottle to make it live up to the true nature of the beer. Mort Subite has heaps of history and has been part of folk culture in Brussels. It needs spontaneous yeasting that can only happen near the Zenne valley where there is something special in the air. It’s even impossible to brew it without a master brewer. In short, the beer and its name seem to have a life of its own. And that’s why Spontaneity became a center word in the brand’s world. The history, The brewer and all its spontaneity found their way on the bottle. The packaging is now a real eyecatcher that found its way back in the off-trade. With the packaging done it became time to get more audacious. Make craft accessible to every man & woman. Mort Subite is not a stout beer; it has the potential to attract current lager drinkers and others that haven’t discovered the joys of beer. Mort Subite is the perfect entry into the craft category. This insight is why we brought it to the masses. We started with on-trade POS material in bars and activation with a focus on trials. With Mort Subsite now being visibly available almost everywhere. The opportunity was open for outdoor ads, open brewery days, events, etc. The whole country colored Mort Subite, and beer flowed. Between 2015 and 2017 the volume of Mort Subite tripled. Mort Subite proved to a great entry into the unknown. 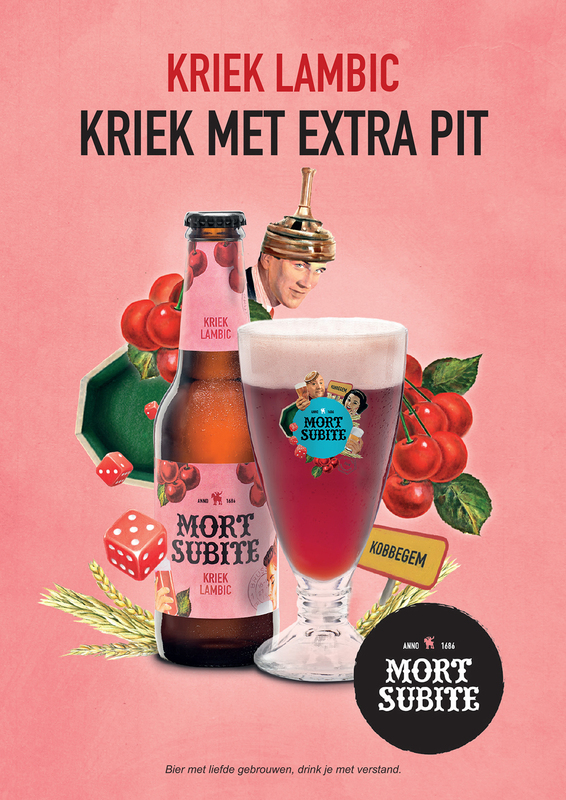 With newfound courage, Alken-Maes/Heineken decided Mort Subite should become an international strategic brand. Going international presented some new challenges. Outside Belgium, only the initiated know what a Lambic beer is and what it entails. Recruitment is key. Together with Alken-Maes/Heineken, we’ve written a plan that decided how we should approach a new market. We called it the Crawl-Walk-Run scenarios. The higher the market’s understanding is, the more vibrant the gamma and the narrative becomes. From trying this new exciting alternative to lager up towards a narrative about spontaneous yeasting and all that. 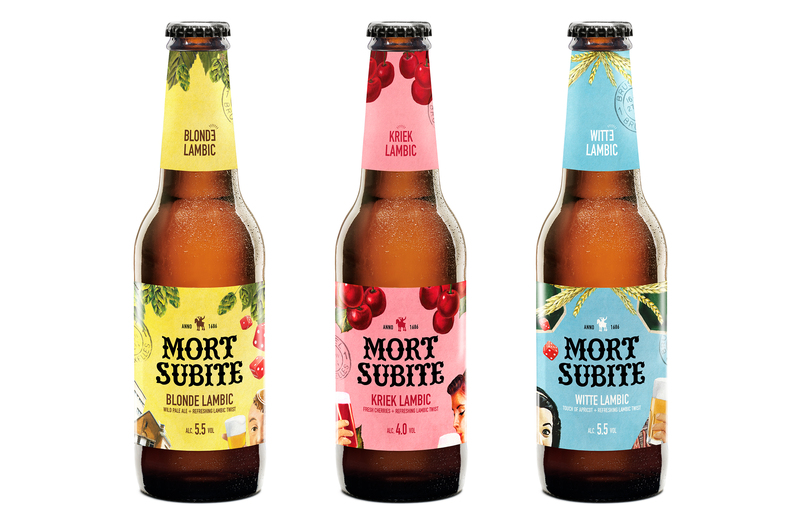 Next time, you are in the south of France you can feel right at home while being adventurous by ordering a Mort Subite, cheers!